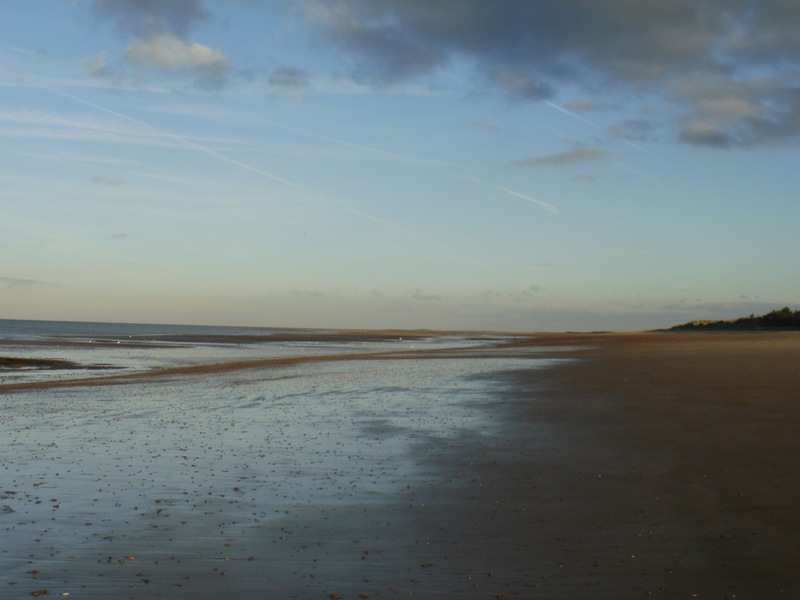 Beach at Holme Dunes, November. 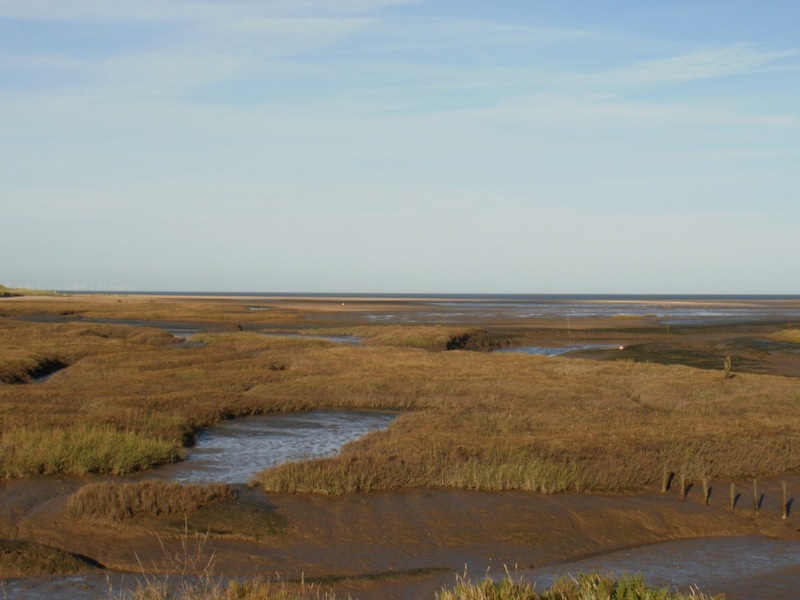 After days of wet, miserable weather, one morning this week was unexpectedly bright and sunny, so shelving my plans for a day in the studio, I threw my sketching bag and warm coat etc in the car and once again drove up to my favourite escape place, to Thornham saltmarshes on the North Norfolk coast, 12 miles from my home. It was windy and cold, but wrapped up warm I relished the brilliant blue sky and the tobacco and purple colours of the salt marsh. 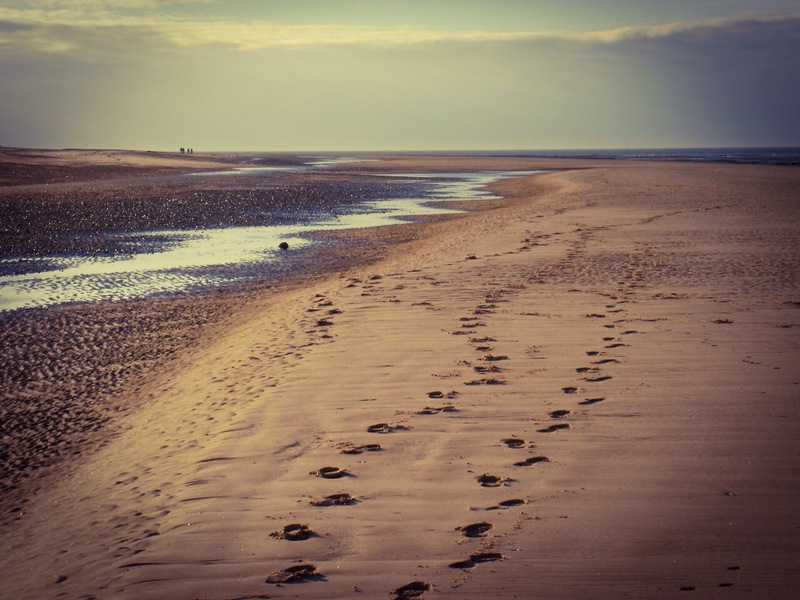 Apart from gathering inspiration I wanted a good walk, so decided I’d follow the sea defences a bit further previously, around Holme Dunes Nature Reserve to the west, through the pinewoods and out onto the beach. 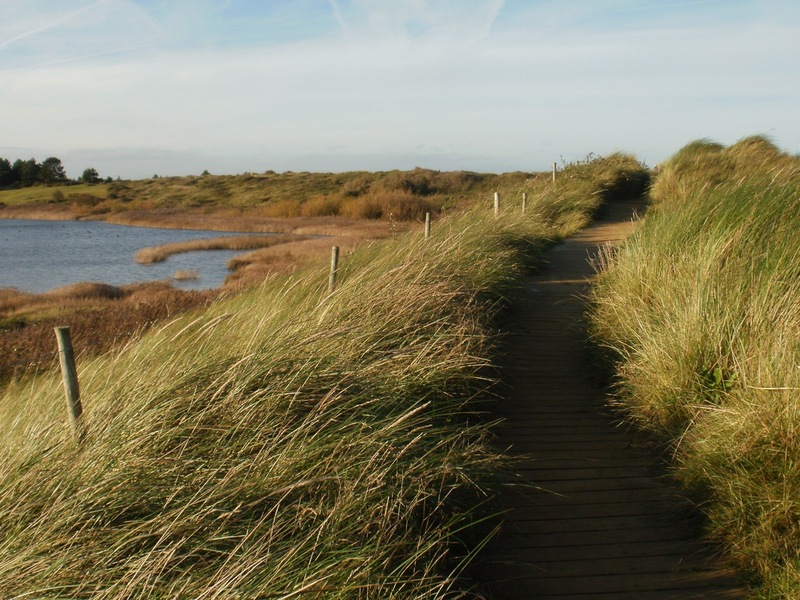 The path along the top of the sea defences is great for walkers and bird watchers, offering a panoramic view of the marshes and creeks with their birdlife, out to the sea beyond. 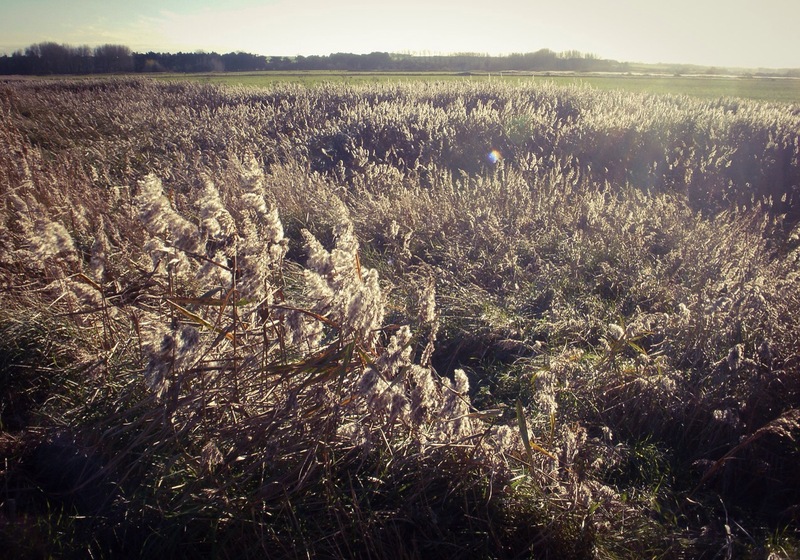 It passes large swathes of reedbeds on the way, which this time of year are silvery and blurred with seedheads catching the sunlight and the wind. The only sounds were of the wind in the reeds, curlews on the marsh and Brent geese with their guttural barking, grazing out on the fields. The latter part of the walk is on boardwalks looping over the sand dunes and towards the pinewoods around the reserve (these boards sometimes appear as scraps of corrugated card embedded in my mixed-media landscapes). It was mid-afternoon by now and I followed the sandy path through the firs and out onto the vast stretch of beach. The sun was bright but low giving long shadows and the wet strand reflecting the sky with the colours of a mussel shell. Soon dark bruised clouds were piling up on the horizon and it wasn’t long before they began to cover the sun, bringing a sense of dusk early to the day. 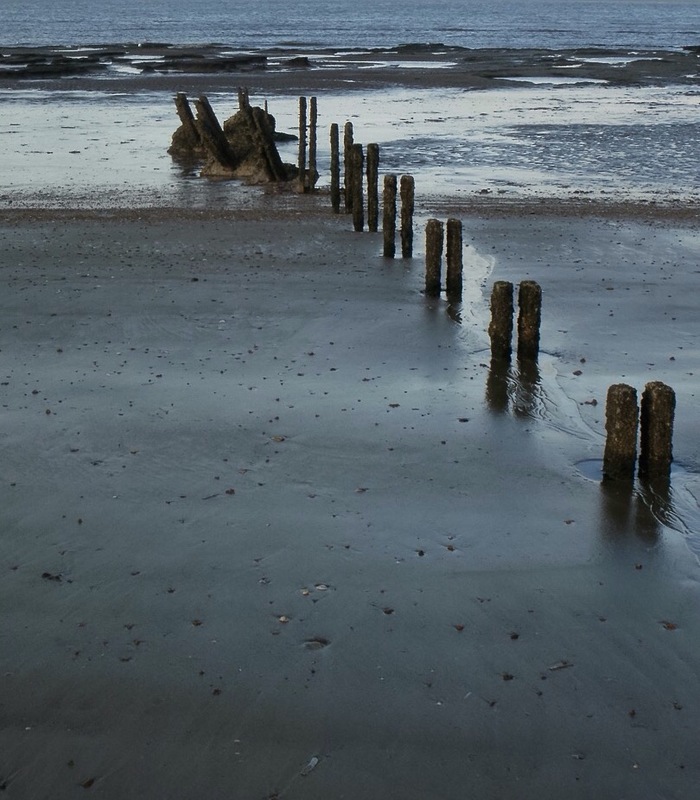 I walked out onto a sand bank (the tide was still retreating otherwise this would be a seriously stupid thing to do), to get a closer look at the remains of a line of groynes battered by the waves. I’m always attracted to any graphic elements that appear like this in an otherwise low flat landscape, they give many possibilities for mark-making in my abstracts. I grabbed a few shots, then as the sky darkened, headed smartish back across the sand bank and beach towards the woods and the path back to the car. This entry was posted in art, landscape, Norfolk and tagged abstract, art, beach, coast, Holme Dunes, landscape, light, low tide, Mark making, marshes, norfolk, November, outdoor sketching, reed beds, reeds, saltmarsh, sea, sketching, Thornham by mari french. Bookmark the permalink. Really enjoyed photos, and sketches.